HÀ NỘI — Hong Kong Eastern Long Lions crushed Saigon Heat 114-74 in the first semi-final of the ASEAN Basketball League (ABL) at the Southorn Gym in Hong Kong’s Wan Chai on Wednesday. According to head coach Anthony Garbelotto, weakness while passing the ball made it difficult for the Heat to attack and score points. 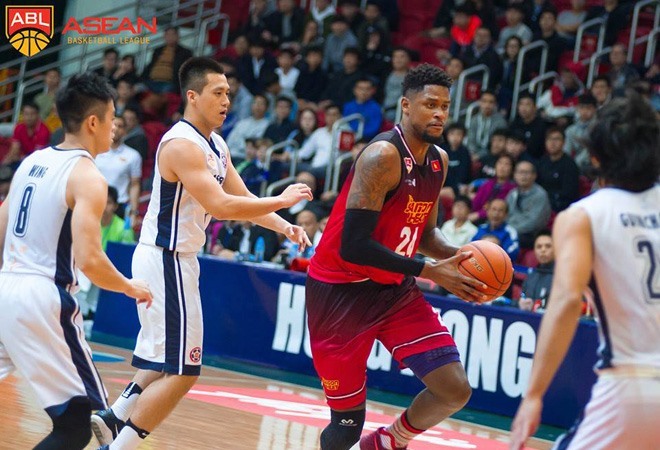 It was a record-setting win for the Lions as they broke the records for most points scored and maximum winning margin in ABL’s playoff history. The home team had four players who scored 21 points or more, showing just how loaded the team is on offense. As a team, the hosts shot 53 per cent from the field, with a whopping 44 per cent rate from beyond the arc. The Heat only managed to convert 42 per cent of their field goal attempts, and the 12 misses from the free throw line and 20 turnovers only made matters worse. In the first half, the Heat played calmly and were very careful during each attack, so the hosts only led 24-20 in this set. However, in the second half, the Heat showed a lack of concentration and created chances for the hosts to score points repeatedly. Heat’s attacking players such as Lenny Daniel and Jordan Henriquez tried their best to carry forward the fight for the Heat by scoring many points, but they did not get enough support from the rest of their teammates, falling behind with the score at 32-48. It did not take long before the Long Lions blew the game wide open. They started aggressively in the third half and quickly raced to 84-53. In the last half, the Lions played comfortably and calmly, which helped them play in harmony with each other to win 114 – 74.